Ali Pasha put on a sad face and invited the man inside. He instructed Manomar to take Kirsten to the women whom he said were in the next room. “And wait there.” Ali Pasha instructed, sternly. Manomar bowed in a way, which indicated he understood. He and Kirsten would be able to hear everything that was going on from the other room. “My former guests!” Ali Pasha looked offended for a second. “How sweet they talked. How knowledgeable they seemed. I am embarrassed to say they fooled me completely. Even when your men came to collect them for the slave market, I thought it was a terrible mistake. I went to my neighbors and borrowed the money to buy them back, but then I heard that you took them to be examined, and I finally realized that I had been played for the fool.” Ali Pasha sat heavily in a chair and indicated that the Examiner should sit as well. It was a good performance, but the question was whether or not Lord Abbass bought it. 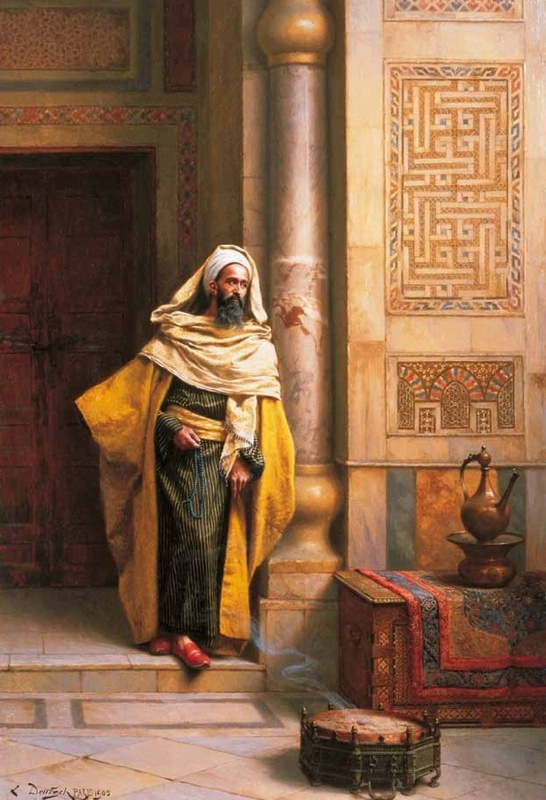 “The wilderness.” Ali Pasha said quickly and waved his hand at some distant, obscure places while he added just enough curiosity to his tone of voice to suggest that the answer should have been obvious. “When I realized the truth, I was truly embarrassed. I came and grabbed my trusty servant, Manomar, and we headed for the wilderness.” He waved his hand again. “You know, I am only truly happy when I am exploring new things. Thus is the life of an inquirist, I’m afraid.” He sighed heavily, having learned how from Omar the Idiot. “Manomar had his long knife, and we were able to make a shelter from the trees and branches, and we could hunt a little. I confess, I have lost weight, but my wives will certainly not object to that.” Ali Pasha stood and pretended to model for the Examiner, seeking affirmation with his eyes for his trimmer figure. The examiner nodded politely, though he would have no way of knowing if Ali Pasha lost weight or not. “And we did run into a savage, to be honest,” Ali Pasha confirmed. “But I never considered that possibility until there he was, painted face and all. His name was Petar or Petras, I am not sure how you say it. You know how difficult communication between two languages can be, but I shared a simple string of beads I had around my neck and he shared a rabbit, and then he was gone, just like that.” Ali Pasha clapped his hands once, sharply. “A remarkable encounter,” Abbass said as if this story was becoming more, not less difficult to believe. Ali Pasha pretended sudden excitement at that point. “But now I cannot hold my tongue any longer,” he said as his whole attitude changed. He realized that he also had to change the subject. 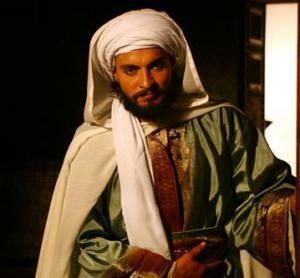 “Please, I must tell someone and it would be an honor to speak of this to you.” Abbass indicated that he was listening, and Ali Pasha began with a flourishing of his sleeves. “On the fifth day, in the midst of my evening prayers, when the sun was at my back and I was facing the smoke in the East, a most remarkable thing happened. Praise Allah, but I was inspired as I have never been before, which tells me well that the Holy Prophet has not abandoned me for my foolishness with those wicked people. Come and see.” He stood and stepped over to a worktable in the corner where he began to open boxes containing stamps. “Look, look,” he said. “When I was leaving my home in Andalucia, I had these stamps made to mark whatever specimens I might find and keep them together in an organized fashion. You see, I have a stamp for every letter and form in the Arabic tongue. Do you see how these make the word for fish?” He laid them on the table upside down. They formed a mirror image of the word, but it could be read. 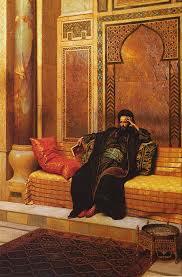 “I see,” Abbass said, and he looked at Ali Pasha with new eyes of suspicion, which Ali Pasha ignored. “I see.” The Examiner stroked his beard though he did not sound impressed. “Yes.” The Examiner spoke without any heart in his words. “Moveable type,” he added in a language, which he always said was his native tongue, and claimed was an obscure North African dialect. In the past, Ali Pasha would not have given it another thought, but now he understood the words, exactly, even if he had to let on that he did not understand. “And the girl you just purchased?” The Examiner asked. “Very well.” The Lord of the Mahdi headed for the door. “But we will speak again.” Then he added a phrase in his supposedly obscure native tongue. “I know the Gaian do not stray very far from their dogs,” he said, but he smiled and bowed as if bidding good day, and he left.